Home Google AdSense Google AdSense Medium Rectangle vs. Large Rectangle ~ Which one is better? Google keeps telling us that Medium Rectangle (300 x 250) is the best ad format among all. Do you agree with that? For the past 3 years of blogging, Large Rectangle (336×280) was the one that I placed on my blogs. Why? I read lot of websites state that it attracts more clicks which turn into more revenue. I believed in them blindly since Google AdSense is all about CPC, right? Based on my experiment for past 2 weeks, Large Rectangle (336×280) does attract more click. But higher click rate does not mean that you will have higher return in revenue. Medium Rectangle (300 x 250) works better as advertisers prefer this format and competition increases the ads price. In return, I have higher Page eCPM with Medium Rectangle compare to Large Rectangle which have more clicks. As I told before, never stop trying and testing Google AdSense until you get the best earning for you. 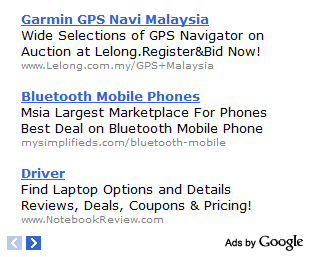 Google AdSense does not perform the same on every website. Therefore, you need to find out the one that match your website. So far, I managed to find out that publishing both text and images ads are better. And Medium Rectangle is performing better than Large Rectangle in my case. How about yours? Next articleHow to fix Table ‘phpbb_sessions’ is marked as crashed and should be repaired ?